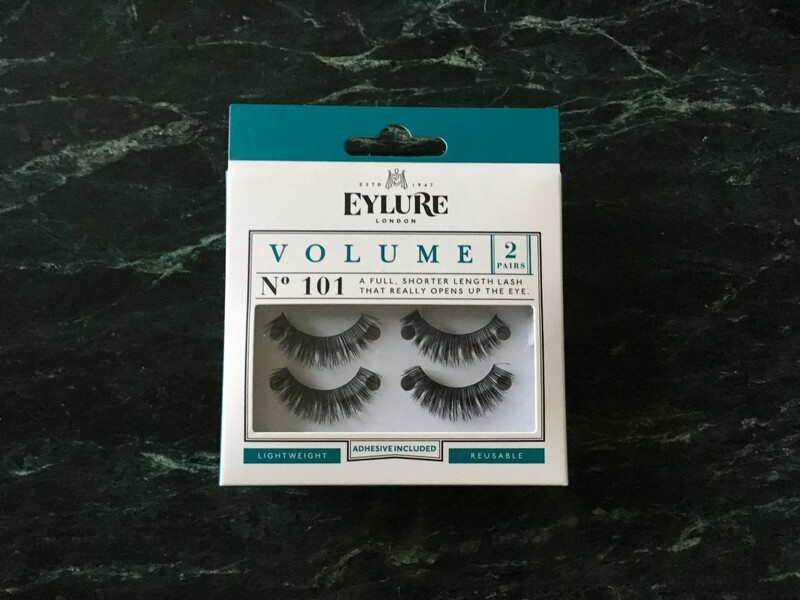 My lovely Instagram followers keep asking which falsies I’m wearing in my photos, so I thought it was finally time to reveal my everyday go-to – the Eylure Volume No.101 eyelashes. I initially bought these as a spur of the moment purchase while standing in the queue in New Look – a two pack for roughly £6 seemed like an absolute bargain, so I knew it would be an investment. What I didn’t realise is that weeks upon weeks along the line, the same pair of false lashes would be clinging on for dear life after numerous applications… I think the time may have arrived to finally bin the first pair and start wearing the second! Available just about everywhere in the UK, from Superdrug to Tesco, Boots and New Look, they’re extremely light-weight and natural feeling, easy to apply and blend seamlessly into real lashes. Granted, they’re a little worse for wear in this second photograph (I think I squashed them with a glass, hence the warped shape), but they really are a thing of beauty! P.S. 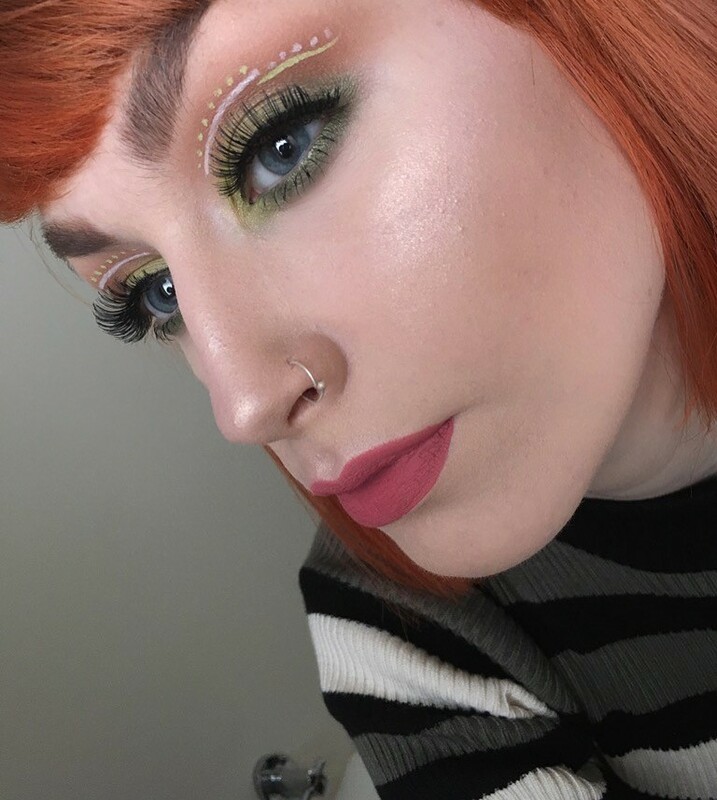 I’d love to hear what you guys think of this look I created earlier today. The alien-esque eye makeup was created using the following products (along with my Eylure lashes): NYX Vivid Brights Green Eyeliner, Maybelline Master Ink White Eyeliner, Mac Extra Dimension Highlighter in Beaming Blush, Lime Crime Matte Lipstick in Cupid, Morphe 35P Palette, x2 Mac Green Eyeshadows and Kat Von D Tattoo Liner in Trooper. Oh wow. The alien-esque look is beautiful. The colors go we with your skin. Great blog as always! I love getting email notifications for your updates. You really can’t beat Eylure lashes can you. They’re great! Wow! Those lipsticks look great on you! Flawless! 😍 Love your blogs.